In the wedding industry, there are so so so many ways your wedding design can go. With countless colors, guest favors, menu cards, wedding flowers, napkins, plates, linens, name cards, glasses, vases, utensils, table runners, centerpieces, chairs, and table number options to choose from (just to name a few), it can get overwhelming. And those were just the reception table decor options! The best way to make the most of your budget & get what you want out of your wedding reception design, I highly recommend consulting with your wedding planner, florist, and photographer to determine what you can afford, what will be available for your big day, and how it will photograph depending on your venue, season, and time of day your reception will be. 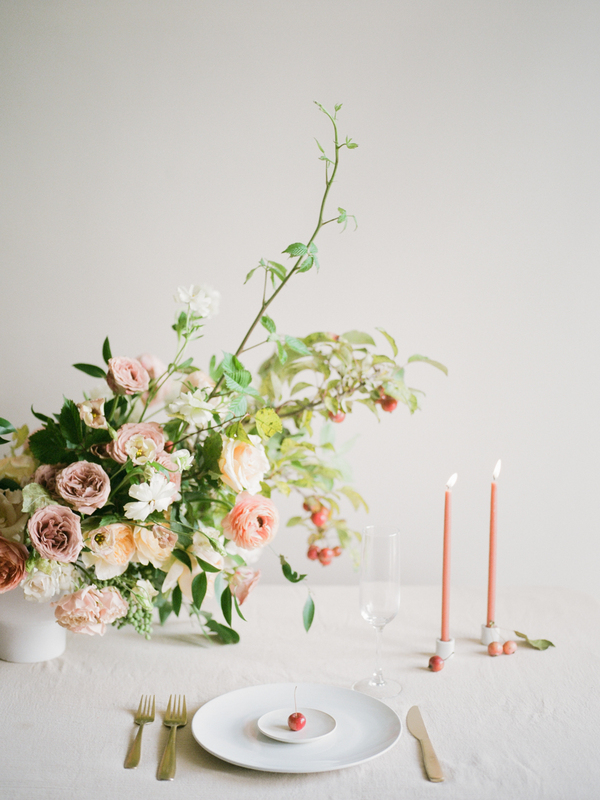 I paired up with local Houston wedding florist Maria of Maxit Flower Design to put together two fall wedding table looks to help inspire your big day’s table design. This look was created by crafting a table runner out of seasonal blooms and crabapples. The table’s design is full and lush. 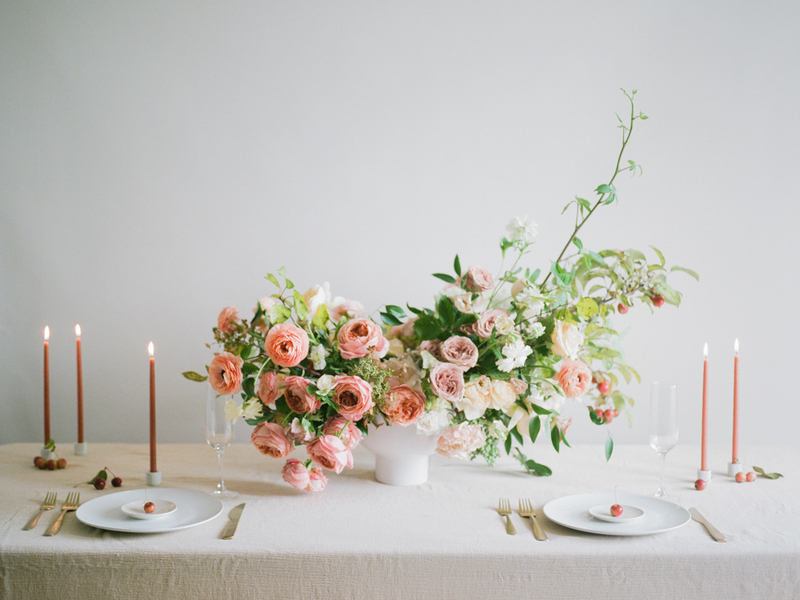 This would go splendidly with a mostly neutral wedding color palette with this pop of pale coral and yellow-orange. While the centerpiece is the focal point, the floral table runner and candles draws your eye down the entirety of the table. 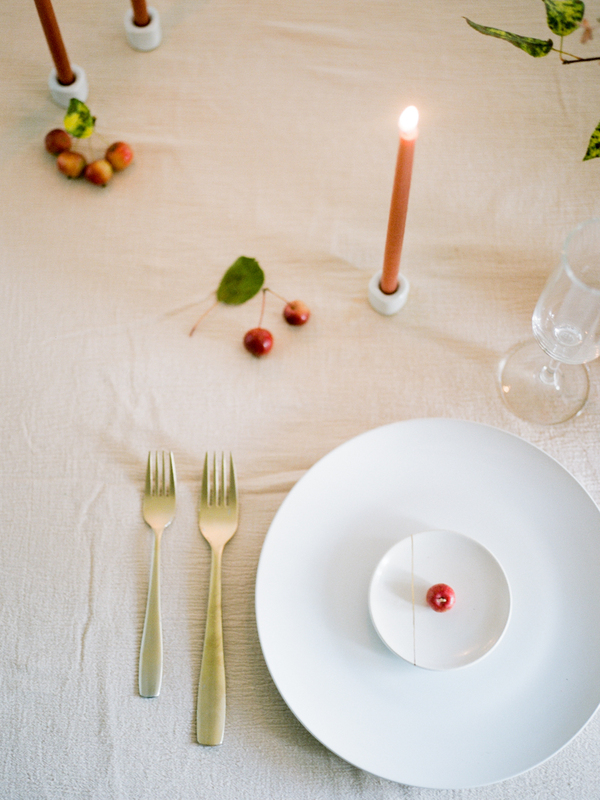 This tablescape strips all of the fluff, leaving nothing but beautiful bones. With tons of negative space on the table, this type of setup allows for plenty if conversation between your wedding guests. Maria had the great idea to color block this arrangement, so I love how there’s a beautiful ombre effect, the blooms lining up dark to light. 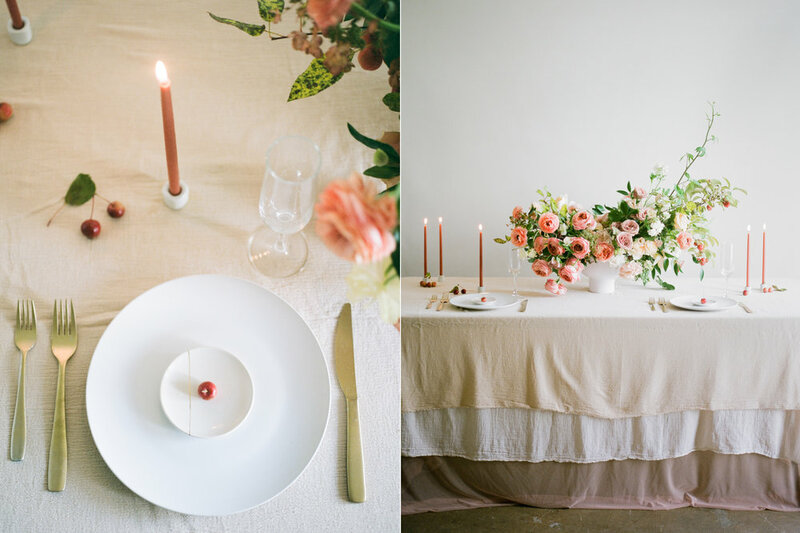 We also layered the table linens to mimic the color blocking effect seen in the flower arrangement. I imagine this would look good with a simple, chic, modern wedding style.